What does RUFF stand for? The RUFF Challenge is a new reading initiative I have founded to help children build reading confidence with the help of pets. In my experience as a primary school teacher, a parent, and an author, I believe all children need encouragement to improve reading confidence, word recognition, and fluency so they can continue to develop comprehension skills and a lifelong love of reading for pleasure. There are wonderful reading programs in our community which use specially trained dogs to help children who need some extra support with reading development. We love this idea as these programs have proven successful all over the world. My program is slightly different as it's for every child and can involve the whole family, including the family pet. And no specialised training is necessary. My challenge is very simple. Grab a trusted and settled pet. 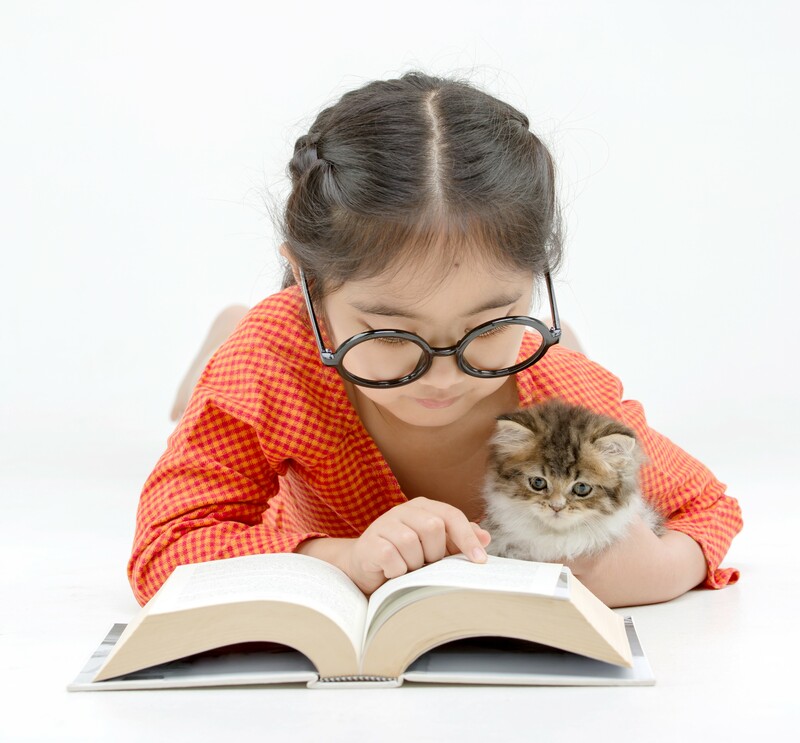 Start reading to your pet. Pets don’t interrupt, correct mistakes, or make judgements. They are perfect at listening! Parents and siblings can join in too. Parents and older siblings modelling reading is essential to any child’s reading development. Make time for the whole family to do The RUFF Challenge. I love photos! 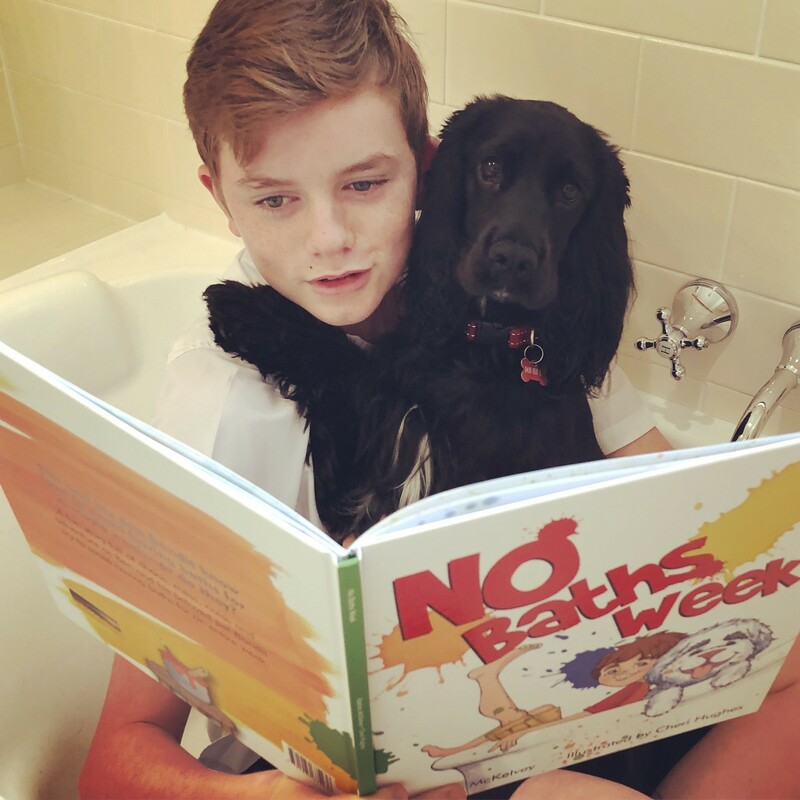 So if you share a photo of your child, children, or family reading with a pet doing The RUFF Challenge on Instagram, please use the hashtag #ruffchallenge so I can jump in and say ‘hello’. Feel free to tag me on your Facebook, Twitter or Instagram posts too. If a school is doing The RUFF Challenge as a whole community, please get in contact and let me know. I’d love to come and visit your school (if it’s local of course) and see the challenge in action. It could be run as part of a home reading program. There could be a whole school photo competition as part of Book Week or Literacy Week celebrations. I’d be happy to do Skype sessions with participating schools. Are you ready to do The RUFF Challenge? Copyright © katrinamckelvey.com. All rights reserved.